In February last year, fellow author, Christine Lindsay shared with the ACFW Beyond the Borders group about her publishing contract for Londonderry Dreaming. This novelette would form part of Pelican Book Group’s new series, Passport to Romance. I was intrigued and immediately searched the publisher’s website for submission details. I was met with: Let’s take a trip and fall in love! “Oh yes, I’d love to!” was my response. 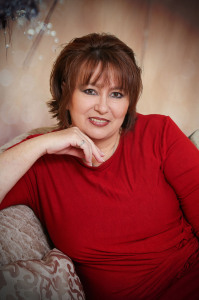 I continued to read about the contemporary romances that White Rose Publishing, a Pelican Book Group imprint, sought. The novella’s had to be set in specific international locales and feature a special set of objects for each location. I scanned the long list of stories required by this publisher that promised to offer their readers adventure, romance, and faith. It was hard to choose one place from the list. They all sounded so…exotic. Argentina, Australia, Brazil, Canada, Chile, China, Colombia, Denmark, Dominican Republic, Ecuador, Egypt, England, Finland, France, Germany, Greece, India, Ireland, Italy, Japan, Mexico, Morocco, Netherlands, New Zealand, Northern Ireland, Norway, Peru, Philippines, Poland, Portugal, Puerto Rico, Russia, Scotland, Singapore, Spain, Sweden, Switzerland, Taiwan, Thailand, Vatican City, Venezuela, and Wales. Each location came with its very own unique trio of interesting objects. I had been to several of these countries, and my mind started churning with ideas. But one place really drew my attention—Helsinki, Finland. I had been there only a few months before. Thirty to thirty-five thousand words…I could do this. It was easier than a Nanowrimo fifty thousand words in a month challenge. Having signed up to do Speedbo with Seekerville the following month, I set myself a doable thirty thousand word challenge for March. That would leave me with very little to write, if anything, during April in order to complete a novelette and get it ready for submission. This was, however, an entirely new ball game for me. I had never written a novella—only full length novels. I’d also never written to prescribed guidelines: a set location, three items that had to be in the story, a heroine who had to be confident and adventurous, and a hero with a zest for life, a thirst for God, and one who was not intimidated by an intelligent woman who could hold her own. There were age limits for the hero and heroine, too (not that I had a problem with that—all my heroes and heroines so far had been between the required ages). Another requirement for the stories was that either the hero or heroine, or both, had to have traveled to the location using a passport. This was a real challenge for me when I was considering story options for the second Passport to Romance I wrote, and I threw out several ideas because of it. Nevertheless, I came up with a great storyline in the end which has been contracted for publication. Why the foreign settings? Well, the publisher wanted to give their readers not only a taste of other countries, but they also wanted to stir the creative juices of their authors who would need to research the chosen location and infuse that into the story, as well as find intriguing ways to incorporate the object prompts. I’ve found it great fun working my stories around the three required items and discovering out-of-the-box ways to do this. For Helsinki Sunrise, my Finnish story which released in August, I had to have an abandoned boat, a dirty shoelace and a laptop computer. In Oslo Overtures, set in Norway, the three objects required were a Christmas ornament, a favorite book, and the tallest tree in a field. I managed to use all of the objects without the story taking place around Christmas, and without using a Christmas ornament, or a tree, or a physical book. Intrigued? You’ll be able to see how I pulled this off sometime in early 2015. So far, the following stories have been contracted, with the first four already released. You’ll figure out where in the world they’re situated from the book titles. Don’t these amazing book covers, designed by Nicola Martinez, Pelican Book Group’s Editor-in-Chief, make you want to take a trip and fall in love? 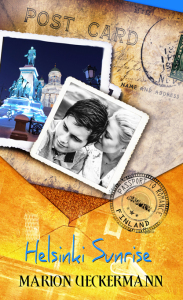 Get your Passport to Romance in these fun novelettes. Will he be able to resist her temptations? Can she withstand his prayers? Jenny, it is an exciting series, and I’m having so much fun writing for it. Thanks for your comment. Hi Jenny, I like the short length of novellas, too. A fast and easy read :) Good luck in the drawing! Sounds like a great series! I love to read about other cities and countries and novellas are the perfect afternoon break. Amanda, I love other countries, too … probably why I love writing for this series. 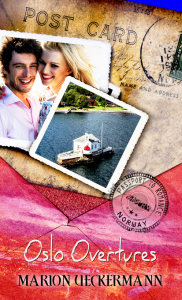 I believe that Pelican Book Group has a winner here in the Passport to Romance books. We all get so excited when we see another beautiful cover joining the cyber-shelf. They’re a great escape for a few hours. I would love to win an e-book of Helsinki Sunrise. Thank you for sharing the behind the scenes writing formulas for these novellas. Nancy, I’m holding thumbs for you. Thank you for your comment. Thanks, JoAnn :) Your Scottish novella sounds like a fascinating story. I agree, I really enjoyed reading Helsinki Sunrise and I wrote a book recommendation on my blog. Congrats, Marion! Your story is in my TBR. It sounds really fun, and I love the series concept as well. What a great series. I love all the destinations! that is what often draws me to a book. That’s great news, Anna. I wish you success. They’re a great publisher.